Turns out Nick Offerman is just as good at directing music videos as he is at starring in them. Father-son duo Tweedy has released the music video for “Low Key,” the “pop wonder” from their debut album Sukierae. 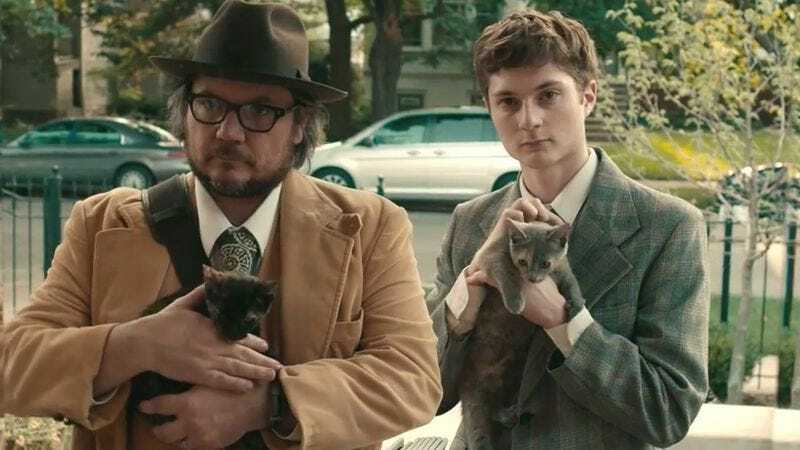 Filmed in Chicago and brimming with cameos, the clip offers a commentary on the sad state of the record industry as Jeff and Spencer Tweedy are forced to sell their album door-to-door. Despite pulling out all the stops (Kittens! Balloons! ), everyone from Mavis Staples to Conan O’Brien and Andy Richter slams the door in their faces, rendering big wigs John Hodgman and Michael Shannon unimpressed. It plays like a delightfully bizarre short film, with an unexpected ending featuring Offerman himself. Watch below.